Recently, I have read two articles (Slate and Vox) discussed the terms “accident” and “crash “. In addition to a fascinating history lesson on the laws that govern our roads, the articles report there is a refreshed campaign underway that asks the public at large, more specifically journalists, describe collisions as “car crashes” instead of accidents. The reason offered is that the word “accident” implies and inability to prevent the incident. As this article describes the campaigns’ position, “Advocates say the shift from accident to crash prevents negligent or reckless drivers from absolving themselves of responsibility.” But, to me, this is confusing a legal term and liability with an emotional and societal term. In general, there are two types of civil cases: a suit based on an intentional act and a suit based on a negligent act. A particular set of actions or occurrences does not define, necessarily, which type of suit is brought. For example, the mere fact that two cars collide does not define the incident as either negligent or intentional. Rather, the at fault party’s mindset is the variable. So, if the bad driver intentionally collided with a car, then that would be an intentional tort. But, if the bad driver was simply distracted and did not mean to have his or her vehicle strike another vehicle or person, the tort is based in negligence. In fact, the vast majority of cases involving auto accidents are negligent. That means that those drivers did not intend to strike anything, but for whatever circumstances, the vehicles collided. As such, a collision without any intent seems appropriately described as an accident; it was truly an accident that the vehicles collided. 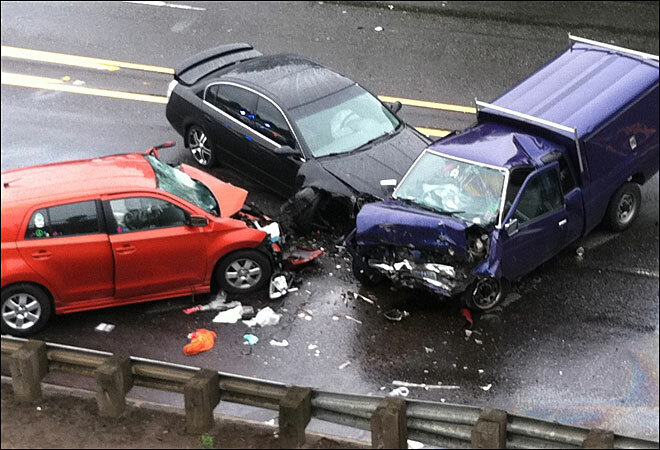 In any event, the language of “accident,” “crash,” “collision,” and “intent” seems ripe for confusion. But the simple lesson is that legally the words may have meaning different than an emotional or societal reaction.